Knitted (Grade: A) I absolutely love this book. Roald Dahl never disappoints. It has such a great message, and the writing is fabulous. No childhood is complete without a sprinkle of Roald Dahl. Thinkerbelle (Grade: A+) I was actually pretty scared when I read this book for the first time because the thought of the witches taking the children just creeped me out. I still really enjoyed it though. peterbmacd (Grade: B–) It gets more charming in the second half, once it doesn't need to explain witches or their traits anymore. 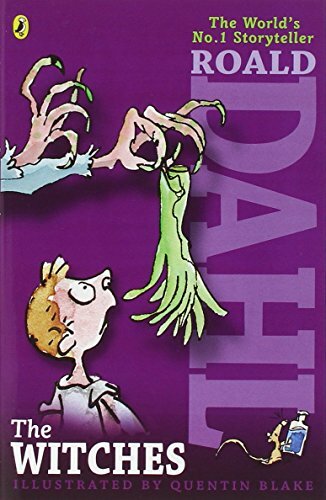 The book is a quick, fun read, but not Dahl's best, most eccentric work. krikalicious (Grade: C) Fun book but reading it now that I'm older its not as good. When I was kid I thought it was a great book though. Z-man (Grade: C) This is a fun original children’s book. It’s a bit grim in places but I can see kids really getting a kick out of it. The Spanish version was a bit different from the English but not by too much.